It is getting cooler little by little. I stayed in my office at lunch hour during this summer. But finally, I decided to go out. My target was Tsukiji all the same. Wow, limited menu ! “Edomae”. 20 sets only per one day. 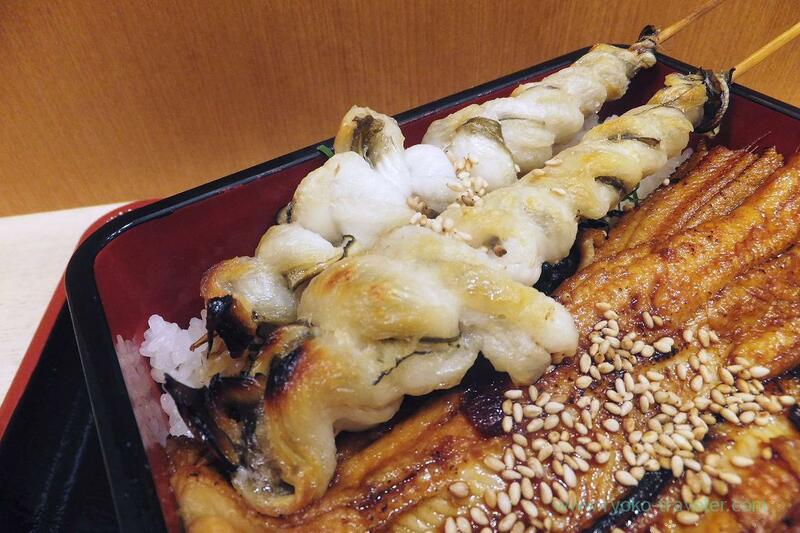 I went to there for eating hot conger eel tempura, but unfortunately, they don’t serve tempura during this summer. So, I asked if they have Edomae yet. The waitress said “Yes”. I was glad and ordered it. 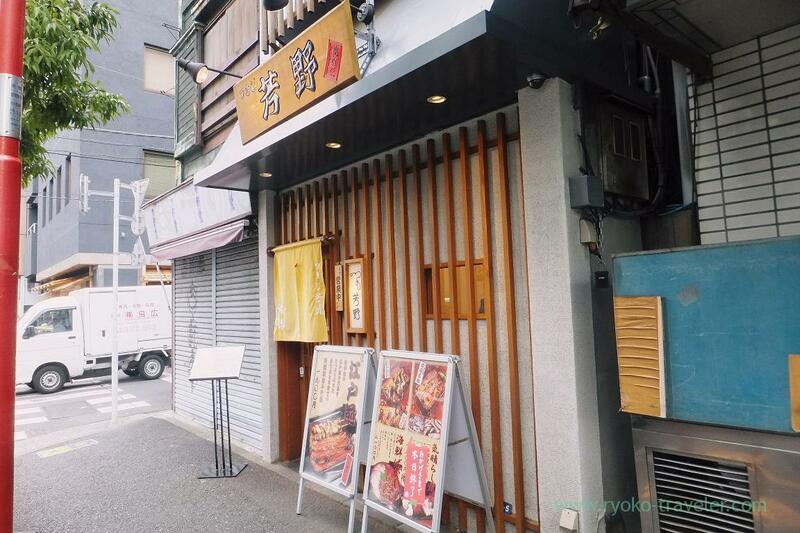 By the way, this Kichiya is not so far from my office (it is much closer than Hajime Sengyo-ten) . But I hadn’t been there at lunchtime. I was worried that conger eel box might take much time to be served. I have no idea if it takes about 30 or 40 minutes during my work. That is whay that I hadn’t been there on workdays. But actually, Edomae was served after 10 minutes or so. Of course, if there’s much guests, they might be unable to serve soon. But anyway, our foods were served more quickly than expected. I can use this restaurant at lunchtime. I should have tried this restaurant earlier. Well. My Edomae (江戸前, 1900 yen) set is here. 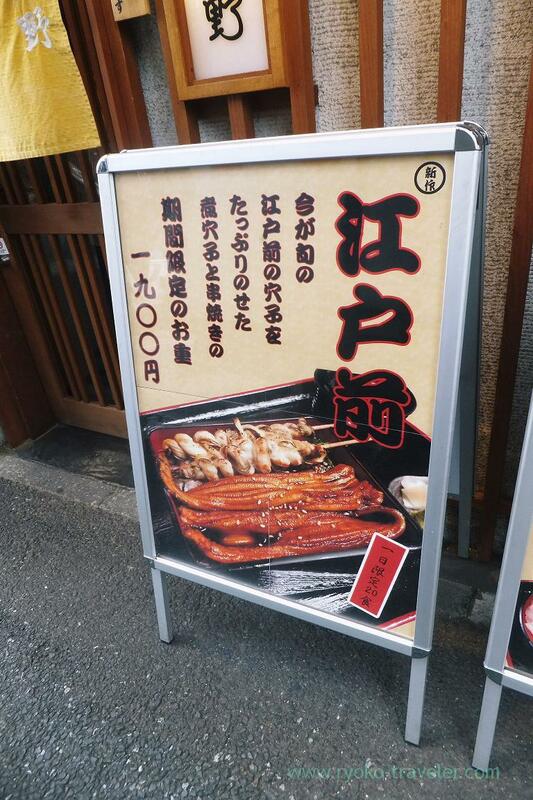 Kusiyaki called “Guru-guru” is a salted conger eel on a skewer. 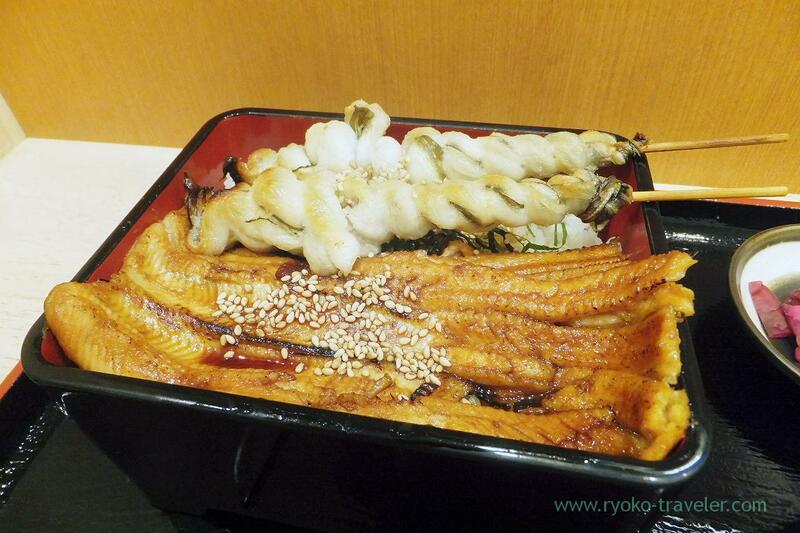 Both salted and soy sauce-seasoned conger eel was very soft and flavory. There’s Japanese pepper named sansyo and shichimi pepper on the table. 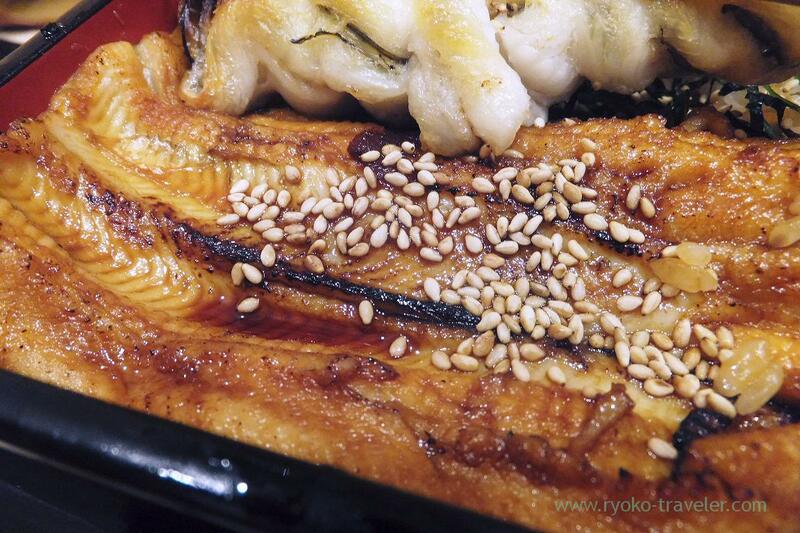 Those are good for soy sauce-seasoned conger eel and wasabi including the set went with salted conger eel well ! 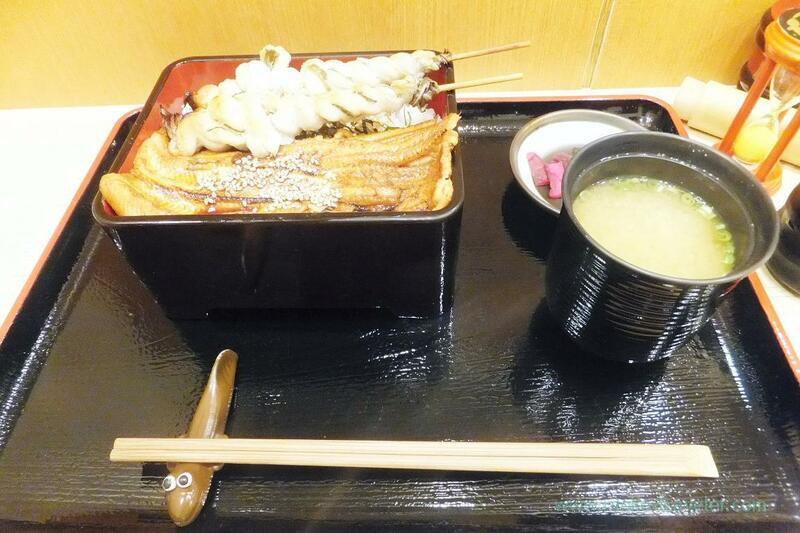 Now is best season for conger eel caught in Tokyo bay area. So, maybe this is limited menu during the best season only. Kichiya’s dinner time was good, too. So, I want to visit there for dinner in the near future.